This is a take on the famous Troisgros dish that is known for defining the transition from traditional french cuisine to nouevelle cuisene. 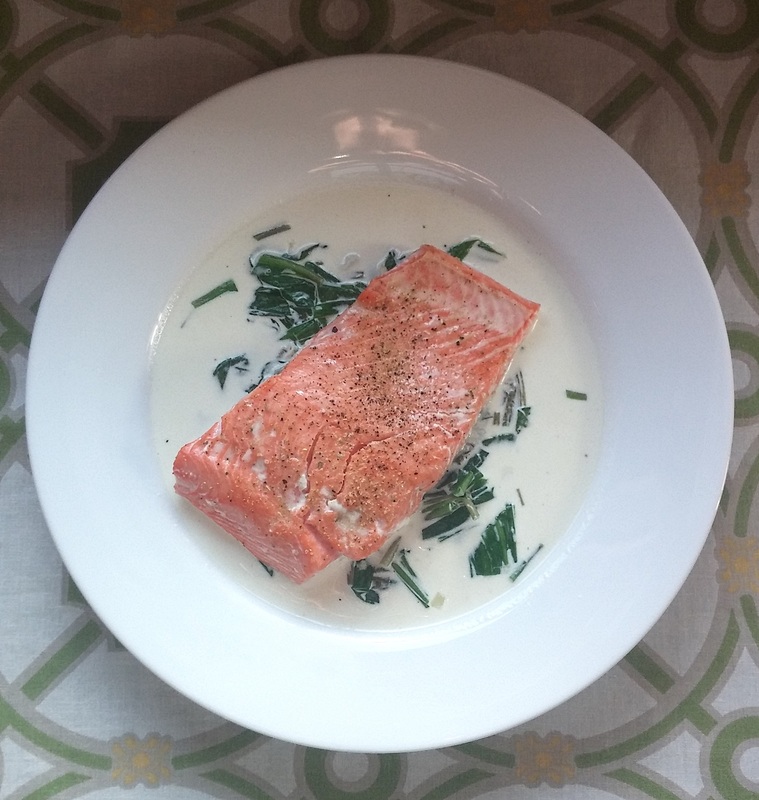 More about the plating (the salmon was placed on top of the sauce instead of it being plated and served with the sauce spooned over it) and the method of cooking the fish (a flash sear) than the ingredients or combination of flavors (Salmon and Sorrel Sauce is a French classic). This dish is a twist on the classic. The sorrel is combined with ramps instead of shallot which adds a deeper onion flavor and adds additional leafy-green fiber. The mushrooms are omitted in favor of a drizzle of truffle oil at the end, and the salmon is seasoned with fennel salt and pepper.